This is the same cognac as the "standard" Martell XO. 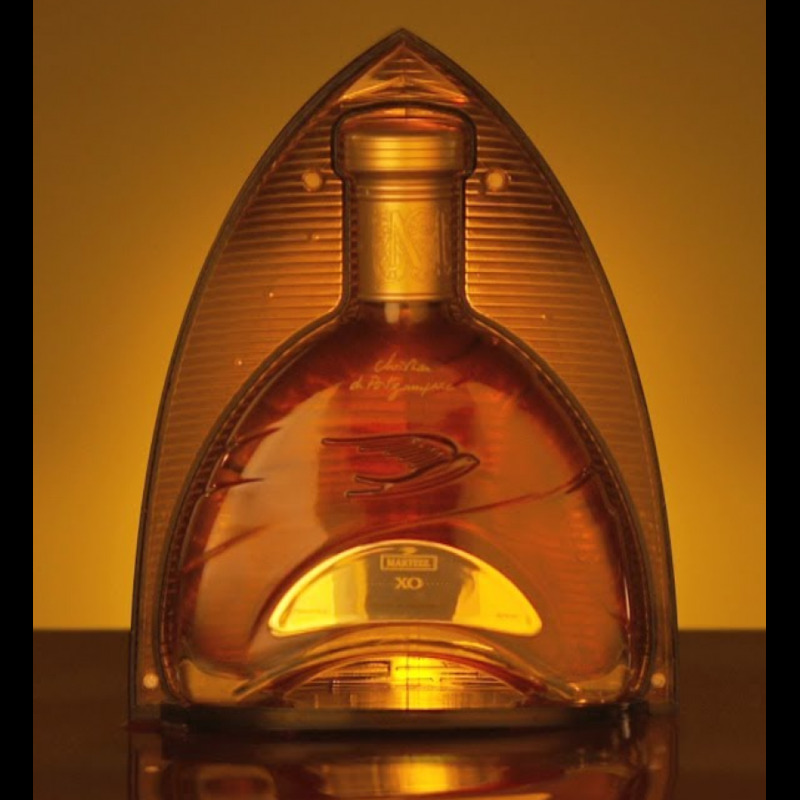 The color of XO Martell is deep golden. On the nose: Some leather hints, dry fruit. On the palate: Round and fruity - more the feminine XO, then it increases its complex aromas and spicy notes come through, along with woody tones. The Grande Champagne eaux-de-vie adds to the final, an elegant and long finish. Martell XO Cognac Exclusive Architect Edition by Christian de Portzamparc is a special edition by Pritzker award-winning Architect Christian de Portzamparc. The archtiect is known for buildings such as the Headquarters of the press group “Le Monde”, Hergé museum in Belgium, Hotel Renaissance Wagram in Paris and The City of Music in Paris.It truly is an authentic collector's item. This XO Cognac is made only from eaux-de-vie that are at least 6 years old (but are much older in general.. as always with XOs these days). The decanter and packaging is shaped like an arch, beautiful and outstanding - a well excecuted design. The blend is a combination of Martell's signature Cru Borderies Cognacs and Grande Champagne Cognacs. This Architect edition is the second one, the first being by Paul Andreu in 2009. Produced in a strictly limited edition. Very soft, and round palate. 93 points in our tasting " Best XO Cognacs for 2016 "
Eye: Amber. Nose: Floral, sweet, vanilla, almonds, violets, and hazelnuts. Palate: Fruity and mellow, sweet pastry, cinnamon, old port, and dried fruits.